Through volunteer labor and donations of money and materials Habitat for Humanity builds, repairs and rehabilitates simple, decent, homes for hardworking low-income individuals and families. After investing hundreds of hours building their homes and the homes of others, families make a down payment and purchase their home with a no profit mortgage and affordable monthly mortgage payment. Mortgage payments are then invested into the building of homes for other families. Habitat for Humanity is a Christian organization. However, homeowners are chosen without regard to race, religion or ethnic group, in keeping with U.S. law and with Habitat’s abiding belief that God’s love extends to everyone. Potential applicants apply through their local affiliate. Habitat for Humanity uses three selection criteria: need for safe, decent, affordable housing; ability to repay the mortgage; and willingness to partner. Neither race nor religion is a factor in family selection, and every affiliate follows a nondiscriminatory policy, and abides by fair housing law. How do I qualify for a home? Each local Habitat for Humanity determines who will be selected as a partner family. Contact the nearest Habitat to learn about the application process and building schedule. What if my home needs repair? There are some local Habitats have repair programs for veterans, senior citizens, and people with physical disabilities. Contact your local affiliate to determine what programs they have. Must I be a Christian to get help from Habitat? Habitat for Humanity International and its affiliated organizations will not proselytize. Nor will Habitat for Humanity work with entities or individuals who insist on proselytizing as part of their work with Habitat. This means that Habitat will not offer assistance on the expressed or implied condition that people must adhere to, or convert to, a particular faith or listen and respond to messaging designed to induce conversion to a particular faith. 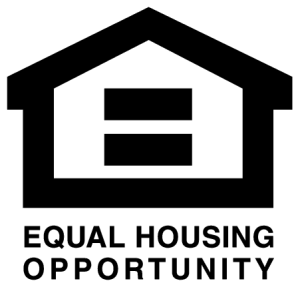 What is the Fair Housing Act and does it apply to Habitat? What is the purpose of the Fair Housing Act? The Fair Housing Act is a federal law that prohibits discrimination and the intimidation of people in their homes. It covers virtually all housing in the United States and housing transactions, including the sale of housing and the provision of mortgage loans. What is the Purpose of the Fair Housing Act? Under the Federal Fair Housing Law, Title VIII of the Civil Rights Act of 1968, it is illegal to deny housing to any person because of race, color, religion, gender, physical or mental disabilities or national origin.